Join us for a campus performance by poet MC Will See and DJ Shammy Dee, joined by special guests. 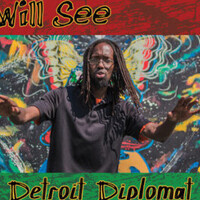 Will See is a hip-hop artist, poet-MC, environmental justice (EJ) activist, and cultural worker from Detroit. He brings attention to issues of environment, race and class through his art and activism. From January 21-25, 2019, UCI Community Resilience Projects and co-sponsors will welcome Will See as a visiting artist to share his work and methods with UCI students, faculty, staff, and community collaborators. Will’s visit will incorporate environmental justice into our campus’ MLK week activities. On January 23, our campus will also host Dr. Mona Hanna-Attisha, the Iraqi-American pediatrician whose research uncovered the lead poisoning of Flint, Michigan’s drinking water supply.